No-frills Airlines: Are They Ever Worth It? No-frills Airlines in the U.S.: Are They Worth It? You've seen the advertisements, and your jaw has probably dropped once or twice while searching for fares: low-cost airlines, carriers offering fares that seem too good to be true, are bubbling up all over the world nowadays. While many travelers (wrongly) assume that budget airlines will provide the same level of service at a dramatically lower price, savvy flyers know better. The question then, of course, is simple: Can a low-cost airline really help you save on the total cost of your trip? Getting from Ft. Lauderdale, Florida to Chicago, Illinois can be accomplished on a lot of carriers, so we'll use this city pair to break down and investigate the true cost of flying cheap. In this specific example, Spirit Airlines can indeed save you as much as $44 if you're traveling with little more than the clothes on your back and don't have any preference regarding the location of your seat. But once you toss in a single carry-on bag and a single checked bag, the low fare loses its value. Southwest, in this instance, comes out victorious because, despite being a low-cost carrier, it actually includes many amenities (namely, checked bags and onboard refreshments) for free. The only downside is the airline's limited route selection, and few options for truly premium service. 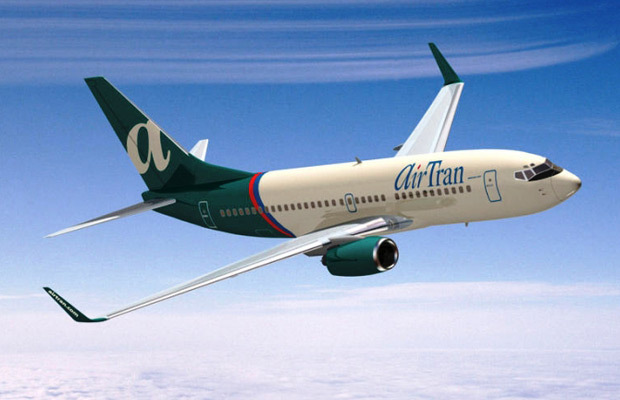 While we're on the topic, it's worth talking about AirTran. While the airline recently merged with Southwest, many of its pre-merger policies remain in place. That means that AirTrain flyers still pay for checked bags and change fees, amongst other things – costs you can avoid by simply booking AirTran routes via Southwest's website (really!). Finally, Frontier hits customers with fees that are similar to those on Spirit Airlines – likely due to competition within the same markets. As a result, it's rarely worth booking these guys over the legacy carriers unless you're traveling with almost no luggage, but you can scope out its full list of fees right here. In general, it's always worth pricing out a variety of airlines before booking. For example, the above scenario would change further if you attained elite status on American Airlines; at that point, checking a bag would be free, there would be the potential for a courtesy upgrade to first class, and priority boarding would be guaranteed. These perks alone would almost certainly trump the comparatively meager $44 airfare savings if you went through Spirit. When searching for airline fares via Hipmunk or Momondo, you can sort results via a "pain" factor, which helps you balance raw cost savings with the mental anguish caused by overly long layovers and a barrage of baggage fees. Remember to always search an airline's website for their fees before making the final call – depending on the needs of the traveler (and the trip itself), doing the math each time can reveal whether a low-cost carrier is worth it in the end.